Last Friday Feb. 5, 2016 long term Pima County Supervisor Ray Carroll (served since May, 1997), a Republican, announced that he would not be running for re-election. He already was facing opposition in the August 30, 2016 Republican primary from Navy veteran Marla Closen who announced last summer. Press release (below) from Republican businessman Steve Christy. There is no Democrat yet in the race in District 4, but stay tuned. Other Republicans may jump in as well since this is now an open seat. 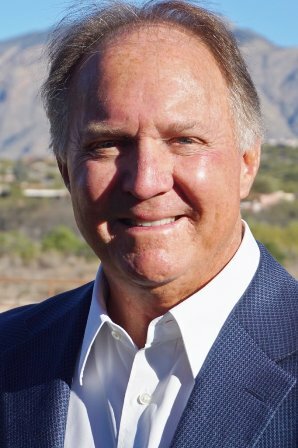 “Long time Tucson businessman and community leader, Stephen W. “Steve” Christy today announced his candidacy for the District 4 seat on the Pima County Board of Supervisors. Christy, a Republican, seeks to succeed current District 4 Supervisor Ray Carroll who announced last week that he would not run for re-election to the board when his term ends this year. Familiar to Tucsonans as the owner and president of Galloway Motors, renamed Steve Christy Chrysler-Jeep, Christy sold the dealership in 2007. He has a long history of business and community involvement; and served in a variety of leadership capacities including president of the Arizona Automobile Dealers; president (twice) of the Tucson New Car Dealers; board member and chairman of the Tucson Metropolitan Chamber of Commerce; as a member and chairman of the Arizona State Transportation Board; and as member of the Tucson Airport Authority, the Pima County Regional Transportation Authority, and the Pima Association of Governments. “I’ve considered running for the Board of Supervisors for some time as I believe that my experience could help provide three things this Board needs,” Christy said. “The second is to bring real leadership to replace the current practice of allowing major policy decisions to come from staff and the bureaucracy. The Democrat majority needs to take responsibility and begin initiating solutions. We conservatives and Republicans need to do more than just oppose, but to offer real alternatives. The third is to address our infrastructure problems, the biggest one being roads. “And, let’s face it, I do know roads,” Christy added. “It’s high time the Pima County Board of Supervisors charted a course to put Pima County on the map, instead of just being the Board of Spectators,” Christy said. Christy attended Sam Hughes, Mansfeld, and Green Fields Schools. He received a B.S. in Political Science from the American University in Washington, D.C. He and his wife, Susan, have been married for 35 years, and have three grown daughters and two grandchildren. For more information call: 520 609 5495. Stay tuned for campaign website. Carolyn’s note: been waiting for Steve’s photo in jpg format, so will update it later when I get the photo. Updated with photo Friday, 4 p.m. courtesy of the candidate. UPDATE 7/13/16: Current D 4 Supervisor Ray Carroll has endorsed Christy in the August 30 Republican primary , over Backer and Closen. See comment below. It is with a great deal of pleasure that I formally endorse Steve Christy to be the next Pima County Supervisor from District Four. I have known Steve for years through his role on both the RTA and State Transportation Board and found him to be an intelligent and knowledgeable public servant. I also know him to be both an active Republican and a reasonable conservative – pro-life, pro-gun and low tax – as I have been in my tenure on the Board. Steve also represents something we need more of in public office, someone who has run a successful local business. He understands the needs of the private sector because he was and is a major part of it here. He will bring the depth of knowledge and governmental experience needed combined with a belief in the basic principles of free enterprise and economic development that Pima County wants and requires. Susan, then contact Steve at his campaign phone #. No info on a campaign website as yet. I entered the race for the Pima County Board of Supervisor – District 4 seat today and wanted to reach out to you to let you know. Thanks John, are you running as a Democrat, Republican or Independent? Update: Got email response from John, who is a Republican candidate.